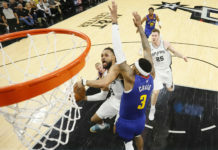 After the Denver Nuggets’ road loss to the Portland Trail Blazers on Tuesday night, Nuggets fans could be described as disappointed, heated, sad or a combo of all three. 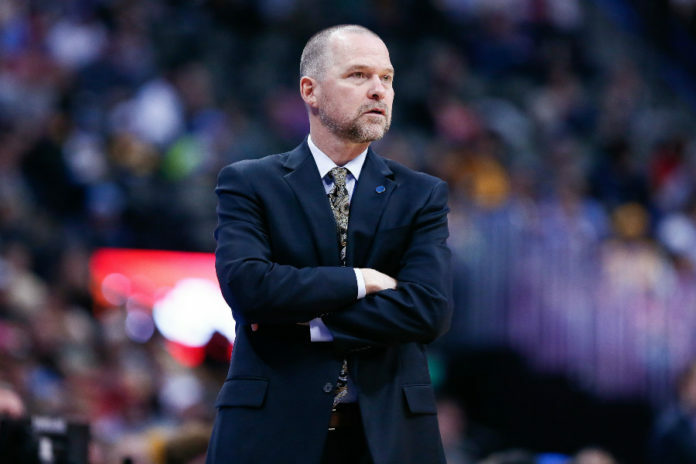 But, as the blame game begins on what appears to be a lost playoff opportunity, let’s dial back on the criticizing of Nuggets head coach Michael Malone. Right from the get-go, the heat was turned up on Malone earlier in the season when the Nuggets struggled with experimental lineups. Like a mad scientist seeking that perfect formula, Malone attempted many experiments, including a Jusuf Nurkic-led lineup, a Nikola Jokic-driven team, with experiments of both at the same time, while attempting to also mix in veterans and a very young core all at the same time. Still following me? 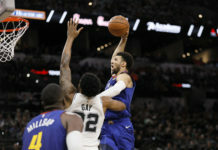 This is not a simple task; and experimenting to find a perfect lineup plagued many Denver losses earlier in the season. This had fans disappointed in Malone’s decision making, but while it’s certainly fair to say that it took too long to figure out the perfect formula, the bottom line is that he found it in less than half a season. It’s clear that Jokic is the better player between him and Nurkic and result, Nurkic was shipped out of town to division rival Portland. Fast-forward to Tuesday night, when Coach Malone also took a lot of heat from fans after the Trail Blazers game for not “game-planning” well against the former Nugget Nurkic, who tore into the Nuggets like a two-month-old puppy destroying house furniture. But how is this fair criticism? The Nuggets never had a player who could square up with Nurkic in the first place. They simply never had the personnel to deal with a player like the “Bosnian Beast,” who exposed a weakness for Denver, that they will certainly attempt to fix in the offseason. More blame came rolling in on social media that night, this time, it was Malone’s fault for trading a blossoming talent in Nurkic. How on earth is it fair to criticize Malone for trading a player to a certain city, when he’s not the guy pulling the trigger? Nurkic long-term wasn’t going to work with the Nuggets, and it would’ve been a detriment to the team to continue with him on the roster. The Nurkic trade was a deal that had to happen. For the Nuggets, unfortunately, the destination was less than ideal, creating a perfect storm, a nightmare, which they’re stuck in now. This mistake lands squarely on the shoulders of general manager Tim Connelly. While he has deservedly received a lot of praise for more hits in the offseason than misses, the mistake of dealing Nurkic to a division rival is going on his record, as his first big miss on what was a quiet clean and quality managerial resume. The Nuggets front office also didn’t do Malone any favors by failing to make a move at the trade deadline. Whether this be acquiring a big-time talent, or simply consolidating the depth they have into a more quality starter. There’s such a thing as too much depth in basketball, and the Nuggets are a prime example of that. The head coach is always going to receive blame for losses, praise for wins and be the lightning rod for criticism in-between. But for a team that had no clear direction or buzz at the beginning of the year, Malone in the big picture, has changed this and pushed the arrow pointing up for the future. 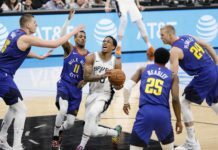 The Nuggets now have an absolute star in Jokic, a young, talented core that simply needs more experience, an exciting high-scoring brand of basketball and, oh by the way, a relationship building with the city of Denver, who packed the Pepsi Center to watch their team face the New Orleans Pelicans in a playoff-like atmosphere. Not the Golden State Warriors, not the Cleveland Cavaliers, both of whom you would expect to draw a big crowd. It was the Pelicans game that drew a sellout that clearly proves the city is paying attention. Rome wasn’t built in a day. Neither will a Nuggets team capable of more than a first-round exit be. This is the unfortunate scar that the city of Denver will have to live with in the basketball world. As a city that isn’t highly desirable for superstars and their brands to call home, it’s a slow, uphill battle acquiring talent when you can’t grab big name superstars overnight like Miami, New York, LA or Chicago can. Even amid all the criticism and drama that this year has brought, the arrow for Denver is pointing up. While patience is the most rare trait shown by fans in sports, if you look at the big picture and take a deep breath, you’ll see that patience is the true solution; and that coach Malone has this team moving in the right direction.